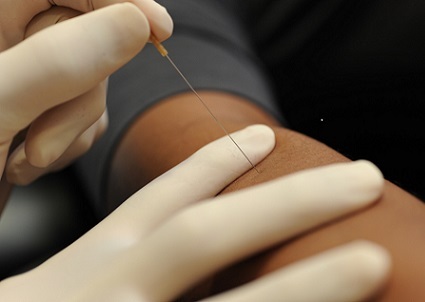 Dry Needling is a skilled intervention that uses a thin filiform needle to penetrate the skin and stimulate underlying myofascial trigger points (painful knots in muscles), tendons, ligaments, and connective tissue or near nerves for the management of neuromusculoskeletal pain and movement impairments. 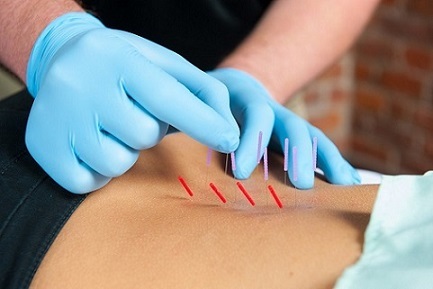 What is Dry Needling Used For? Dry needling (DN) is a technique used to treat dysfunctions in skeletal muscle, fascia, and connective tissue, and, diminish persistent peripheral nociceptive input, and reduce or restore impairments of body structure and function leading to improved activity and participation. DN is a modern, science-based intervention for the treatment of pain and dysfunction in musculoskeletal conditions such as neck pain, shoulder impingement, tennis elbow, carpal tunnel syndrome, headaches, knee pain and arthritis, shin splints, plantar fasciitis, low back pain and sacroiliac dysfunction. Dry needling has been proven to be both very safe and very effective in treating pain and improving function in a variety of orthopedic problems. It can be performed as a stand-alone treatment, but often times it is incorporated into a traditional physical therapy treatment plan of care. What does Dry Needling cost at Therafit? Dry Needling is $35 per treatment and is not a covered benefit by insurance.